Guess the Balloons in a Mini car fundraiser. Total number of balloons was 160. 1st prize went to Hughie Duffy, 2nd Coralee Carolan, 3rd Shaunna Dillon. Joanne O’Leary, Lisgrey Gardens was the winner of the ‘Load of Ballz’ event held during the Bailieborough Mid Summer Festival’s Family Fun day. The winning ball number was 927 and netted Joanne the €1,000 prize. Bailieborough News. July 3rd 2014. Matthew J. Cullen. Bailieborough Agricultural Show will run for the 39th year in Gray’s Field, Virginia Road, Bailieborough, Co. Cavan on Saturday next, July 5th. Anyone wishing to place an entry in this year’s Show in one of the Show’s many classes including Horses, Cattle, Sheep & Goats, Home Industries and the Dog Show is welcome to contact Show Secretary: Zoe Waller on 0863991222 or bailieboroshow@gmail.com to place such entry. ENTRIES WILL REMAIN OPEN UNTIL SHOW DAY. For More Information Visit: www.facebook.com/BailieboroughAgriculturalShow Why not come along and enjoy a fun-filled day for all the family! Senior Swim Club sessions are taking place every Saturday evening at Bailieborough Leisure Centre from 6.00-7.30pm. These sessions are coached by Janis, with a mixture of swim technique and fitness. Suitable for past swim club members and Triathlete improvers. Different lanes for different ability levels. Male or female over 15yrs of age are welcome. 10 euro per session. For further information contact Anne on 087 9674302. The Shamrock’s Camogie Club would like to thank all the host families, sponsors, park committee, volunteers, everyone who helped at fundraising and the entire community for making the Feilé weekend such a success. There are still some places available in the Bailieboro Celtic F.A.I. Summer Soccer Camp which takes place from the 14th -18th July. Contact Sec: Eric McCullagh at 086 3606694 for further details. Sunday, July 6th and 20th, August 3rd and 17th and September 21st. The Annual ‘Sheridan Charity Cycle’ will take place on Saturday 12th July at 11am for the Irish Motor Neurone Disease Association and Kevin Bell Repatriation Fund. Cyclists from North and South of the border take to the roads of Cavan to fundraise for two great charities, The Irish Motor Neurone Disease Association (IMNDA) and the Kevin Bell Repatriation Fund (KBRF). Two route options 30K and 100k. €20 for 30K and €30 for 100k. This year funds raised will be split between two charities. The Irish Motor Neurone Disease Association (IMNDA) and The Kevin Bell Repatriation Fund (KBRF). Registration from 9.30am on the day in St Anne’s Park, Shercock Road, Bailieborough. Contact 087 715 2512 or 086 339 3327 for more information. Prayer Group on Thursday evening next, July 3rd at 8.00pm, in St. Anne’s Church. The evening will include a talk by Anne, Adoration, reading of the monthly message, Rosary and Benediction. Confessions available and all are welcome. There will be ‘story time’ for kids aged 4-7 years at the Library every Wednesday from 11am to 11.45am for the months of July and August. The Group’s Annual Holiday to Dublin will take place on July, 7th, 8th and 9th –which will include a trip to see ‘Riverdance’ in the Gaiety Theatre. The trip is open to non-members, and there are a limited number of seats available and for further information please contact 087 7989 037 or any committee member. The St. Vincent DePaul ‘Mid-Summer Trolley Collection’—kindly permitted by Tesco will take place on Friday and Saturday next, July 4th and 5th. Non-perishable food, back to school items and financial donations gratefully accepted. Society members will be in-store with their trolleys from 9.30am. Thank you for your support. Wednesday, July 2nd: Townley Hall, Drogheda. (A) Walk—Approx. 2.5 hours. Departing from Bailieborough Library at 6.15pm, Gartlan’s Pub, Kingscourt at 6.30pm. Meeting at Coillte Car Park, Tullyallen, Drogheda at 7.15pm. The Car Park is located on the Slane/Drogheda Road (N51), 8kms from Slane and 2km from the M1 Drogheda Roundabout. ‘Shades of Summer’ Art Workshops for children at the Library on Wednesday July 2nd and Thursday July 3rd from 11am-1pm for 7-10 year olds. Booking essential at 042 9665779. €5 per child. Light industrial space to rent at Stonewall Enterprise Centre. 1,000 sq ft unit in one or more lots call 042-969-4716 for more details. 500 sq ft to rent at Stonewall Enterprise Centre. Call 042-969-4716 for more details. 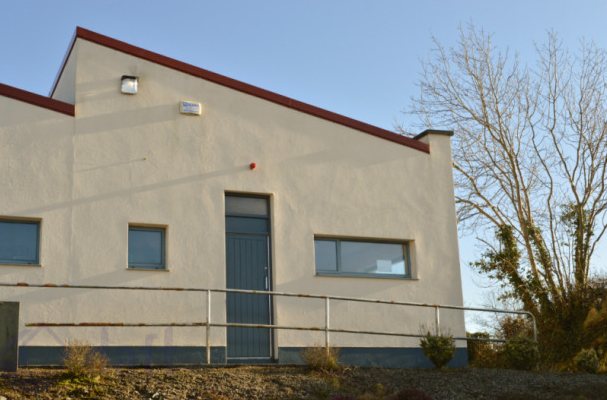 300 sq ft to rent at Bailieborough Business Centre. Call 042-969-4716 for more details. Weight Watchers every Monday evening at 8.00pm in Bailieborough Business Centre. Tel: 086-241-8361 Jenny, for further information. Vintage Car and Tractor Run and Leisurely Walk and Cycle on Saturday, July 5th leaving from ‘The Jolly Old Cross’, Cormeen at 7.00pm. Refreshments and music afterwards. All proceeds to Boyne Rescue. €10 per person. All welcome. Our U14s took a well-deserved break after Féile and most will return to action when the U13 summer league begins this coming Wednesday. We had representation on the new South Ulster regional hurling U16 squad at the weekend. The next round of Under 11 blitzes is on Wednesday 9th July at 7pm in Ballyhaise. Under 6/8/10; We have made a number of significant changes to our summer hurling schedule. There will be 9 weekly U8 and U10 blitzes on Wednesday in various venues. These blitzes are obviously open to all our players but also to those who would like to try hurling during the holidays. Players will play in age appropriate teams. There will be no training on Tuesdays in Kingscourt and no training Fridays in Bailieborough. All our U8/10 hurling activity for July and August will be games and blitz based. Our first 4 fixtures have already been scheduled with more to come. If you haven’t tried the best game in the world yet then this is the ideal opportunity to get some games in a fun environment. Equipment will be supplied to those without. Fixtures; all 7-8.30pm Wednesday 2nd July, in Carrick Emmets, Carrickmacross. Pitch on Culloville/ Crossmaglen rd. Wednesday 23rd July, in Kingscourt Stars GAA grounds. Hurling/Camogie Camp 2014; Following on from last year’s hugely successful camp, the biggest in the county, ECG in conjunction Cavan Hurling Development will have another camp this year. It is from Tuesday/Wednesday/Thursday 19/20/21 August. We hope to have even more entering this year so keep those dates free. U13s are in Breffni for summer league Wednesday. U14/16 training 7pm in Bailieborough. Contact Kathryn for further details 087 244 1371. U6/8/10;. Blitzes only on Wednesdays through July and August. New players always welcome. For U8/10 contact Willie 086 164 9280. Knockbride Positive Age: Knockbride Positive Age are holding their Annual Day Tour to Roscommon on Wednesday, July 16th. Contact Eileen—042 9660867/0868545882 or Breda, 086 3084120 for further information. This regular event is now in its 3rd year and will feature approximately 30 stands showcasing handmade crafts, food items, craft supplies and giftware from some of our regular exhibitors and some new faces. There will be an array of beautiful pieces on show including greeting cards, jewellery, wood & metal crafts, toys, leathercrafts, knitting & crochet, fabric crafts, skincare, glassware & ceramics, artwork, candles & soaps, clothing & accessories, face painting, paper craft supplies, jewellery making supplies and more. Plus many exhibitors will happily take commissions. Or telephone 049 436 4877 or 087 189 6229. ‘Fair Deal for Women’ on Wednesday, July 16th from 9 30 – 5 30PM and Thursday 17th from 9 30 – 2pm. Something for the Mind, Body and Spirit. Inspiring Speakers, Workshops, and Discussion groups. Join us in Castle Saunderson International Scout Centre. Register at breffnibells@gmail.com or call Veronica @ 0834351742 or Marion @ 046 9245580 for further details. Tanagh Outdoor Summer Camps now open. Book early to avoid disappointment. Bailieborough Outdoor Adventure Camp 14th July – 18th July. Contact Tanagh for full information on 049-5552988. Mother & Toddler Group at Library every Wednesday 10.30am-12pm. A wide variety of toys for toddlers while Mums and Dads enjoy a chat. All welcome and there is no charge. Bailieborough News. June 26th 2014. Matthew J. Cullen. Looking forward to seeing y’all from 26th to 29th June, 2014. Thursday, June 26th: The Real McCoy by Moynalty Drama GroupA fall about farce for all the family…. a combination of high drama and amazing Irish wit! A story about love, betrayal and turf.Community Centre at 8.30 pm. Admission €12. Friday, June 27th: Car Treasure Hunt – 6pm: Can you find all the answers to the clues? Starting from The Lemon Tree pub, last car out at 7.30pm. Prizes kindly sponsored by Barrack Street Service Station“Padraig Pott’s Guide to Walking” – 8.30pmA play written and performed by the hugely popular Seamus O’Rourke.Community Centre. Admission €12. Saturday, June 28th: 10am – Walking Treasure Hunt: Entry forms available from Hall’s newsagents1.30pm – 3.30pm – Teddy Bear’s Picnic: Bring your favourite teddy to a magical, fun-filled party with face painting, musical games, teddy disco, teddy hospital and special mystery guest appearances! Prizes for best dressed bear and best children’s costume.Taking place in the Community Centre. Children must be accompanied by an adult. Admission €3 per child which includes a picnic.3pm – 4.30pm – Dog Show and Agility DemonstrationHosted by Lily’s Dog Rescue group and the Kingscourt Dog Club.4pm – 6pm – Super Showcase: We have an amazing talent in the people of Bailieborough and this will be their time to shine as they put on a performance throughout the afternoon, featuring Shauna’s Hip Hop, Irish Dance Bailieborough, Marlena’s Zumba, Transform Fit and Rhythmic Dance Twirlers.6pm – 7pm – Bailieborough School of Music presents Magic from the Movies: As seen in the Ramor Theatre to celebrate the 25th anniversary of the Bailieborough School of Music this year. Enjoy the music from the Bond movies, Star Wars, Pirates of the Caribbean, E.T. and many more!7.30pm – Wild Wild West Night! : Live music on the square from the Trad Lads and The Tractor Boys bringing you all the greatest hits from the decades. Vintage car and vehicle display, all enthusiasts welcome to show on the day. Culminating in the event of the year!…… Tractor Lawn Mower Derby at 5.30pm on the Main Street. “Load of Ballz” fundraiser for the Red Cross (Bailieborough Branch), “Guess the amount of Balloons” fundraiser for Bailieborough Tidy towns. Bailieborough Agricultural Show will run for the 39th year in Gray’s Field, Virginia Road, Bailieborough, Co. Cavan on Saturday, July 5th. What an incredible weekend for our club. To partake in National Féile for the very first time with a club just five years in existence was a tremendous achievement. The highlight undoubtedly was the victory on Friday over our guests for the weekend from Carlow, Burren Rangers in front of a huge hurling/Camogie supporting crowd in St. Anne’s Park, Bailieborough. Winning in Féile is no mean feat and the joy on the boy’s faces was something to behold. The parade into the Athletic Grounds in Armagh with thousands of other hurlers and camogs on Friday evening will live long in the memory. Saturdays games again were very tough playing strong clubs from Kerry, Louth and Monaghan but our lads never gave up and gave as good as they got in some enthralling encounters. All our opposing clubs have all grades up to senior adult level in their clubs but our club which has grades up to U15 were not in awe of their more illustrious opponents and were commended several times on the talent on display from such a young club. We have hundreds of pictures and reports of a memorable weekend to post to our Facebook page as there are too many to go into here. Just a final thank you to Bailieborough Shamrocks for their facilities on Friday and to everyone, especially our sponsors, without whose help we would not have made it to Féile, who made the weekend such a success for local hurling. Under 12/14/16; The next round of Under 11 blitzes is this coming Wednesday in Cootehill at 7pm. The U13 summer league begins early July. Under 6/8/10; The next round of blitzes is coming soon. Training this week in both usual venues. Helmets; Our new club helmets have arrived. We hope that all our regular hurlers will have their own helmet and hurley by the end of June. If you need one contact any of your coaches. Training times and venues; Under 12/14/16;No U12/14/16 training this week as the lads take a break after Féile.Contact Kathryn for further details 087 244 1371. U6/8/10; Kingscourt; Tuesday 6-7.30 for all aged up to 10 at Kingscourt Stars GAA main pitch. Bailieborough; Friday 6-7.30 for all U8/10s at the Community School pitch..For U8/10 contact Willie 086 164 9280. Senior Swim Club sessions are recommencing every Saturday evening at Bailieborough Leisure Centre from the 21st June from 6.00-7.30pm. These sessions are coached by Janis, with a mixture of swim technique and fitness. Suitable for past swim club members and Triathlete improvers. Different lanes for different ability levels. Male or female over 15yrs of age are welcome. 10 euro per session. For further information contact Anne on 087 9674302. Pilgrimage to Knock on Saturday next, June 28th. Everyone welcome to join the thousands for Mass, Confessions, etc… Pray for Vocations. Details of bus arrangements can be had from 086 3996 146. The Club’s Annual General Meeting takes place in the Club Rooms, The Vale on Thursday next, 26th June at 8:30pm. Bailieborough Baby and Toddler Group meets at the Library, Market Sq every Wednesday morning from 10.30am-12pm (except school holidays). Loads of toys for all ages. Enjoy a nice cuppa while making new friends. No charge. Ph.042 9665779 for further details. The Group’s Annual Holiday to Dublin will take place on July, 7th, 8th and 9th –which will include a trip to see ‘Riverdance’ in the Gaiety Theatre. The trip is open to non-members and for further information please contact 087 7989 037 or any committee member. The St. Vincent DePaul ‘Mid-Summer Trolley Collection’—kindly permitted by Tesco will take place on Friday and Saturday, July 4th and 5th. Non-perishable food, back to school items and financial donations gratefully accepted. Society members will be in-store with their trolleys from 9.30am. Thank you for your support. Cow and Gate Big Toddle for Barnardos was held on Wednesday 18th. June at 10am at Puddle Lane Montessori, Bailieborough. 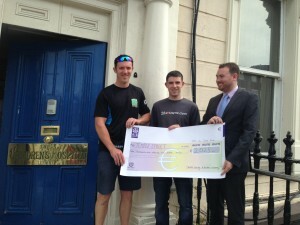 Funds raised were in excess of €1,000. Wednesday June 25th walking in Dun A Rí Kingscourt. Short and moderate walks will take place. Everyone welcome. Contact: Isobel (086 190 7130), John-Ed (042 966 5342) or Leslie (086 258 8488) for further information. ‘Luck Dip’ ticket entries to the draw cost from as little as 1 cent (€0.01) all the way up to a max of €20 depending on the number you draw. Prizes include 1st €2,000, 2nd €500, 3rd €500, 4th, 5th, 6th, 7th & 8th €100 each. Watch out for the sellers and try your luck. As always, all support is greatly appreciated by members and players across all the age levels. Children’s Swimming Lesson Assessment this week. Lesson rebooking Saturday 14th from 9am for those in lessons or from 12 for those wishing to join lessons. There is part-time Administrator position available in The Rectory Centre in Killinkere under the Community Employment scheme. Proposed start date is the 7th of July. In order to qualify you must be over 25 and on jobseekers for 12 months or more. Call 0871225465 for more details. ‘Fair Deal for Women’ on Wednesday, July 16th from 9 30 – 5 30PM and Thursday 17th from 9 30 – 2pm. Something for the Mind, Body and Spirit. Inspiring Speakers, Workshops, and Discussion groups. Join us in Castle Saunderson International Scout Centre. Register at breffnibells@gmail.com or call Veronica @ 0834351742 or Marion @ 0469245580 for further details. Death by suicide is a tragedy for everyone concerned. The grief and sense of loss experienced can be overwhelming. Living Links Cavan is holding an Ecumenical Service of Remembrance for family and friends bereaved by suicide on Sunday June 29, 2014, at 3.00 pm in St. Brigid’s Church, Killeshandra. Everyone welcome. Those attending are welcome to bring a photo of their deceased loved ones. There will be ‘story time’ for kids aged 4-7years at the Library every Wednesday from 11am to 11.45am for the months of July and August. Fun Irish conversational class at the Library every Tuesday 1pm-2pm. Fluent Irish not necessary. Refreshments will be provided. All welcome and there is no charge. Bailieborough News. June 19th 2014. Matthew J. Cullen. East Cavan Gaels GAA – Club News 16th June 2014 Féile na nGael 2014; The road to Garvaghy! The waiting is over! National Féile na nGael for hurling makes its first ever appearance on Cavan soil when East Cavan Gaels host Burren Rangers from Carlow this coming Friday 20th June in St. Anne’s Park, Bailieborough GAA grounds at 3pm. A lot of work and preparation has gone into preparing for this prestigious event and the boys hope to do both the club, and the county, proud in what promises to be a significant milestone in the short history of our club. The action switches to Termonfeckin in Co. Louth on Saturday from 11am with two more games against Crotta O’Neill’s from Kerry and St. Fechin’s from Louth, with quarter finals set for Monaghan on Saturday afternoon and the semis and finals in Garvaghy in Tyrone on Sunday. We wish the boys and their management team, Kathryn O’Flynn, Maurice O’Shaughnessy, Sharon Daly and Brendan O’Reilly every success over the weekend. Keep up to date with the weekend activities by following us on Twitter; @ECG_GAA or Facebook Group; East Cavan Gaels GAA. Under 12/14/16; Well done to all our ECG boys at the first of the U11 blitzes held in Bailieborough on Wednesday evening last in bright sunshine. ECG had 2 squads with 26 players to choose from and performed very well. Thanks to visiting clubs Castlerahan, Cootehill and Annalee Gaels. Next round is this coming Wednesday in Castlerahan at 7pm. Schools Hurling; Massive congratulations to Shercock NS on their great achievement in winning Division 2 Cumbann na mBunscoil Cavan hurling title in Breffni Park on Saturday last. A strong contingent of ECG players in the squad. The first schools title for an ECG catchment school so another piece of history for the club also. Well done to all the players and their teachers. Thanks to Cavan Hurling Development officer Eoin Morrissey and Niamh Collins for their work in developing hurling in the school in Shercock. Under 6/8/10; Thanks to the U8 and U10 squad who travelled to Kells on Friday last for some games. Training this Tuesday in Kingscourt 6-7.30. No U8/10 training Friday this week in Bailieborough due to Féile. More blitzes coming up. Training times and venues; Under 12/14/16; Training this Wednesday in St. Anne’s Park, Bailieborough at 7pm. Contact Kathryn for further details 087 244 1371. Bailieborough; Friday 6-7.30 for all U8/10s at the Community School pitch. For U8/10 contact Willie 086 164 9280. St. Anne’s National School presents, the thrilling nationwide game show ‘Who Wants to be a Thousandaire’ in the Bailie Hotel on Friday night next, June 20th –in aid of the school’s new all-weather pitch. For details contact: School Principal, Paul Corcoran (042 96 65242), Kevin Carolan (086 3759627), Margaret Gregory (086 0890 281), Lisa Burke (087 6594 639) or Katriona Keane (086 205 7811). Tickets are €15 each, with a book of four €50. Please support your local school. Saturday, June 28th: 10am – Walking Treasure Hunt: Entry forms available from Hall’s newsagents1.30pm – 3.30pm – Teddy Bear’s Picnic: Bring your favourite teddy to a magical, fun-filled party with face painting, musical games, teddy disco, teddy hospital and special mystery guest appearances! Prizes for best dressed bear and best children’s costume.Taking place in the Community Centre. Children must be accompanied by an adult. Admission €3 per child which includes a picnic. Hosted by Lily’s Dog Rescue group and the Kingscourt Dog Club. 4pm – 6pm – Super Showcase: We have an amazing talent in the people of Bailieborough and this will be their time to shine as they put on a performance throughout the afternoon, featuring Shauna’s Hip Hop, Irish Dance Bailieborough, Marlena’s Zumba, Transform Fit and Rhythmic Dance Twirlers. 6pm – 7pm – Bailieborough School of Music presents Magic from the Movies: As seen in the Ramor Theatre to celebrate the 25th anniversary of the Bailieborough School of Music this year. Enjoy the music from the Bond movies, Star Wars, Pirates of the Caribbean, E.T. and many more! 7.30pm – Wild Wild West Night! : Live music on the square from the Trad Lads and The Tractor Boys bringing you all the greatest hits from the decades. Culminating in the event of the year!…… Tractor Lawn Mower Derby at 5.30pm on the Main Street. More details to follow…..
Congratulations and well done to Bailieborough Primary School’s Camogie Team on winning the County Title for the second year in a row. Ronan O’Grady and Daire Nulty presenting a cheque to the value of €2050 raised during their recent fundraising from the Coast2Coast adventure race on 17-18th May to the fundraising coordinator of Temple Street Children’s Hospital. Children’s Hip Hop dance classes take place on every Wednesday night in the Bailie Hotel. Ages 3-10 :6-6.45pm and ages 10 and up :6.45-7.30. For further information, please contact: 0872128731. The All-Ireland ‘Feilé Na nGael’ in Hurling and Camogie will be held next weekend, all over the Province of Ulster. Our Parish will host Burren Rangers Hurling Club from Carlow and Carnew Emmets Camogie Club from Wicklow. The opening games are at 2.00pm and 3.00pm in St. Anne’s Park on Friday afternoon next. Further Camogie games will take place in St. Anne’s on Saturday next at 11.00am. Come on out and show your support for these talented youngsters!!! Pilgrimage to Knock on Saturday, June 28th. Everyone welcome to join the thousands for Mass, Confessions, etc… Pray for Vocations. Details of bus arrangements can be had from 086 3996 146. The Club’s Annual General Meeting takes place in the Club Rooms, The Vale on Thursday 26th June at 8:30pm. Best of luck to Callum Clarke, Seosamh Sheerin, Scott Prendergast and the rest of the NECSL Kennedy Cup Squad who play in U.L, Limerick, next week. Join the Irish Wildlife Trust Cavan branch along with Virginia and Maghera Tidy Town’s at Virginia Rugby Club on Saturday, 21st June at 8pm for a fascinating journey to find out more about the nocturnal world of Moths and Bats. We will be joined by Catherine Bertrand from Butterfly Conservation N. Ireland and Tina Aughney from Bat Conservation Ireland. Light refreshments available. Please wear suitable clothing and bring a torch. FREE EVENT!!! Bailieborough Baby and Toddler Group meets at the Library, Market Sq every Wednesday morning from 10.30am-12pm (except school holidays). Loads of toys for all ages. Enjoy a nice cuppa while making new friends. No charge. Ph 042 9665779 for further details. Lough an Leagh Heritage Group wish to thank all who supported their recent Table Quiz. They raised €1200. Wednesday June 18th walking in the Corraneary/Maudabawn area, commencing at Corraneary Church car park at 7.15pm. An advanced walk of approximately 2.45hours. Leaving Bailieborough Library at 6.45pm, walk commences 7.15 sharp from Corraneary Church car park (East Knockbride). Wednesday June 25 walking in Dun A Rí Kingscourt. Short and moderate walks will take place. Everyone welcome. Contact: Isobel (086 190 7130), John-Ed (042 966 5342) or Leslie (086 258 8488) for further information. Bailieborough Shamrock’s launch their Zero–2000, Special Fundraising Draw. Knockbride East N.S. Parents Association are holding a 5 and 10 km fun run or walk on Friday evening, 20th June starting at the school. Registration starts at 7pm, with run/walk at 7.30 – Adults €10 children €5 with family rates available. For further information, please contact: 0871324281. Bailieborough Library – Thursday May 29th at 7-30pm. Peace Funding is in place for an art project/sculpture for Bailieborough town. The second facilitated workshop takes place this Thursday night. The sculpture will have a Bailieborough theme or connection so do come along and contribute your ideas. This will be the final workshop. The annual journal of was launched Thusday evening in the Johnston Central Library Cavan. There are many articles of historic interest in this years journal and one of particular interest to Bailieborough readers. 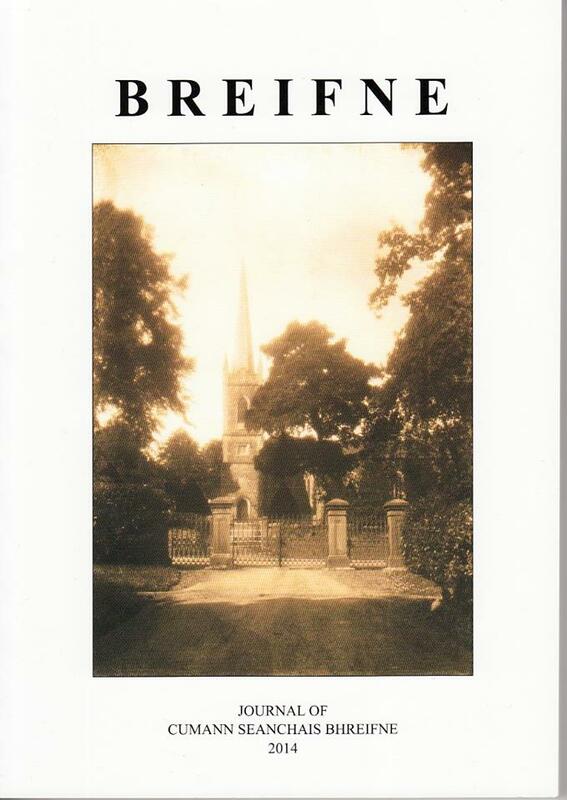 Localladies Margaret Mortimer and Lil McCormack have compiled a 16 page article which includes details of the old Church of Ireland graveyard, graveyard map and headstone inscriptions. In 2012 both ladies carried out the painstaking work of recording all the headstone inscriptions and mapping out the graveyard. 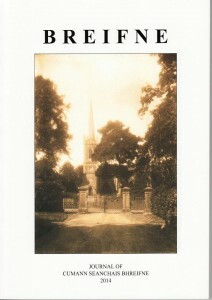 Copies of the 2014 Breifne journal are available at €20 from Cavan Genealogy, Johnston Central Library Cavan. Bailieborough Business Centre 300 sq ft to rent, private office space, excellent secure location, free parking, future access to proposed new E-Fibre, For more details call: 0429694716/email bda@bailieborough.com. Stonewall Enterprise Centre, Virginia Road, 1,000 sq ft light industrial space to rent can be let as one or more lots. Contact Bailieborough Development Association Tel: 042-969-4716.